Tickets for the Lamar Hunt U.S. Open Cup fourth round clash between the Pittsburgh Riverhounds and Major League Soccer’s D.C. United go on sale next Monday via Ticketmaster.com and at the Highmark Stadium box office. 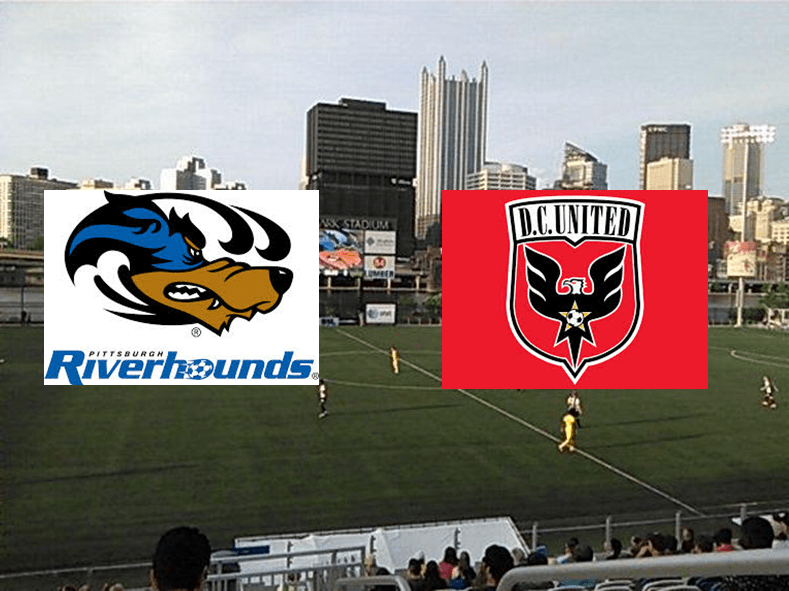 Riverhounds season ticket holders will be granted the first opportunity to purchase tickets via a pre-sale running from Monday at 10 a.m. until Tuesday night at 11 p.m. An offer code will be emailed separately. Tickets go on general sale on Wednesday, June 3, at 10 a.m.
Midfield seats in Sections 104 and 105 of the grandstand are priced at $15 each. All other tickets are available at $12. Section 101 will initially be withheld for traveling D.C. United supporters. We will be in touch with season ticket holders located in this area to arrange alternative seating. Please call the Highmark Stadium box office on (412) 325-7241 to speak to a ticket representative.